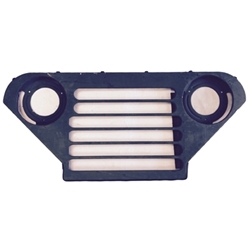 M151A2 Grill Assembly NOS. These NOS grills include the rubber seal for the radiator plus rubber bumpers for the top of the grill. For this price you can not afford to restore your orginal.